I never found Zappa beers in my neighborhood legal-drug emporium which is just as well because I don't much like beer. These reviews don't make the beers sound terribly appetizing. Recently however, through the really fine blog Kill Ugly Radio, I learned that there will be no more Frank Zappa Beers. Supposedly the reason is that the brewing company, Lagunitas, had "a falling out with the family". Family as in "Frank's heirs." The smart money says that the issue was money, as in "only in it for". Another alcohol-related news story, about problem drinking in English orchestras, has a Zappa connection. The article in the Guardian is entitled "Drinking problems rife in the great orchestras"
Bill Kerr, the orchestral organiser of the Musicians' Union, recalled some "regrettable incidents" involving alcohol and musicians. One involved one of the UK's most celebrated opera and ballet orchestras "and its heavy brass section. They should have been sacked really but they would have been very hard to replace," he said. This reminded me of a Zappa music/alcohol encounter that I witnessed directly in 1984. Frank's music was once performed and recorded by the London Symphony. Afterwards he bitched a lot about how drinking by the orchestra meant that he had gotten performances of lower quality for his money. When this subject came up on a Usenet group I wrote about my memories. This was my very first online contribution ever. The year was 1994. The final section is about Zappa but not about alcohol. Joseph Diaz is a musician and Zappa fan in Barcelona. In the year 2000 he emailed me some questions about my work for Frank and I, having just gotten a laptop, wrote and wrote and wrote. Although the answers were originally intended for a fanzine Joseph recently posted my verbiage to his MySpace page, called "J21". Read Part One and then Part Two. 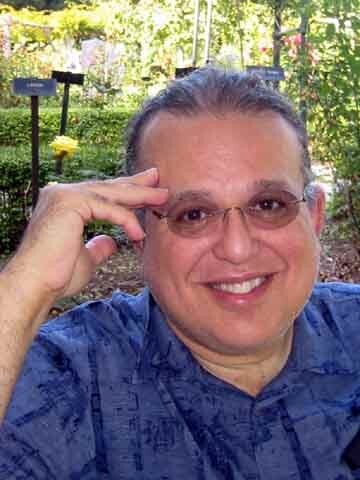 You can also read a fascinating interview with my buddy, percussionist Ed Mann and you can listen to some of Joseph's music as well. If you can't be bothered reading the whole thing, the following is a list of Joseph's questions together with very short snippets of my answers (the purple prose) which would actually make some sense in context. J21: What is Music Engraving? DO: I called myself a “computer music engraver” to distinguish what I did from the plate engravers who were rapidly being replaced. I imagined the “real” engravers as little old gnomes sitting in caves that looked exactly like sets for Wagner operas. 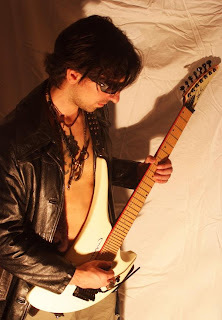 J21: Steve Vai is one of my favorite guitar players, what are your memories about him? DO: And so ends the story of my relationship with Steve Vai – there isn’t much real information here but I’ve fleshed it out with needless details and other digressions. I hope it held your interest. DO: These days [in 2000] that basic 100K$ house costs more like 400.000$. Just imagine what you should be able to do NOW if you put a music system that costs as much as a house on your desk. J21: Did you work on pieces of music for Frank on the Synclavier that are still unreleased? Do you think there’s still good stuff to be released? J21: Is still good music in the vault to be released? DO: He may have passed on way too soon, but he personally produced enough music for three lifetimes of mere mortal composers. J21: “Civilization Phaze III” is a great record, but it’s hard to understand for uneducated ears. From a point of view of somebody musically trained like you what do you think are the most interesting thing in the album? DO: I figured out, at least to my own satisfaction why the piano people are essential to the album. They are telling us not worry about understanding the music. J21: What music do you listen to lately? DO: Piazzolla, Karnak, Salsa, Hamza al Din, Don Byron, Raymond Scott, Spike Jones, Mike Keneally and Internet radio. 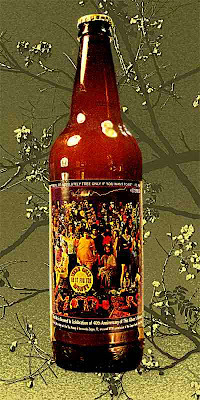 There was a bottle (full) of Zappa, Lumpy Ale on eBay 3/14. The last bid price I saw was $13.98 with a $12.99 shipping cost (that’s a lot for S&H.) It had just under 4 hours left and since I was tempted to bid and that would be a foolish expenditure as a participant in the "economic crisis" I closed the browser and went back to reality. There were 2 people bidding and certainly there were more like me who would sit in wait to get last bid in. Let’s guess it went for about $20 plus the shipping. The Ruben and the Jets bottle (empty) is a fairly easy find and goes for about $6 plus shipping. Of course the collector value is really in a full bottle of beer and not an empty.